The co-working space is the new spot for young professionals primed to make their entrepreneurial dreams a reality. The social scene is hopping with conversations about how to do it and who to see about it. More than just the social scene, though, co-working spaces can be the source through which much business networking and collaboration happen. The coworking space has been at the source of much inspiration in the way business goes about its business. 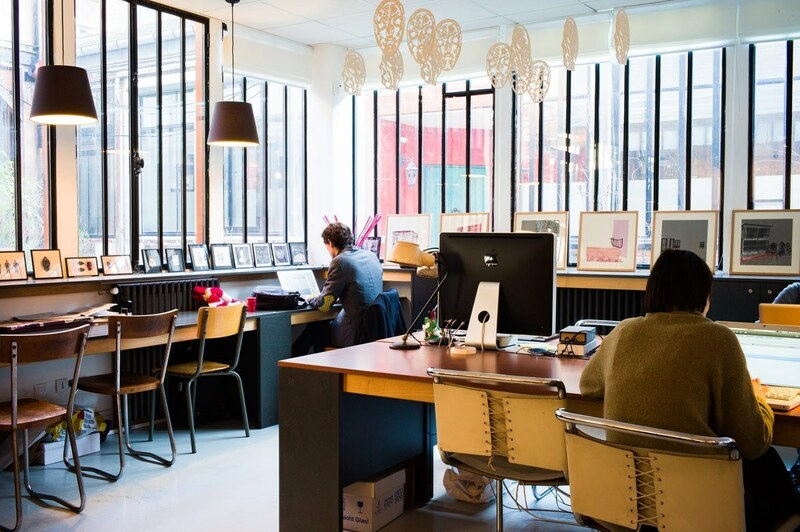 Even with the great social benefits of co-working, this office arrangement can help a fledgeling start-up struggling to deliver on their earnings solve many of the common issues related to a new venture. Because of the office setup, professionals are encouraged to interact with each other in a way that only promotes productivity. 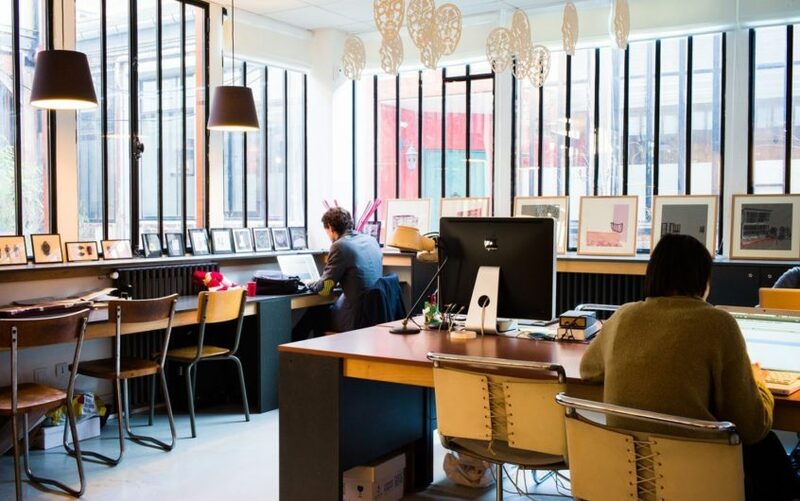 Keep reading below to learn about ways the co-working space can help you combat problems associated with starting a business. One of the more common problems associated with start-ups is related to not having a secure source of income. In its initial stages, your company might just make overhead, if that, and when there is a spike in earnings, it is not consistent. These earning’s highs and lows make it difficult for businesses to plan, especially when much of what they earn is funnelled back into the business. For those in a conventional lease whose overhead is dependent on business, this inconsistency can make meeting your rent and other obligations more than difficult. With having to be committed to rent that can cost thousands of dollars yearly, running a startup can be nearly impossible. Furthermore, the costs to break these leases, if necessary, can add to the nightmare of having to scale down a business due to lack of money. The co-working plan, conversely, is much more economically feasible than working with a conventional lease. Because you are technically renting the use of the office and its amenities, you do not pay out an excessive amount of money monthly. Furthermore, in co-working spaces, you only pay for what you use, which avoids you wasting earnings that can be re-invested in your start-up. The greatest social benefit to co-working is that it reduces the negativity that sometimes flourishes in a competitive environment.Common issues that can squash a start-up include not getting along with partners, feeling squeezed out by competitors, and slacking on any part of the team members. In a competitive environment, a start-up has little chance of making it without the combined efforts of the team. The co-working space, by virtue of its intent toencourage and promote collaboration, places a lot of attention on getting fledgeling start-ups off the ground. In addition to the everyday interactions that you might encounter in these offices, many of the more popular offices focus on mentoring entrepreneurs and sponsoring events and lectures that disseminate information that can help your business. More importantly, though, your office is a resource where you can get information. In one co-working space, you might find several people working in diverse industries, and while they might not necessarily be able to assist you with your start-up problems, they can be the source of wisdom and valued referrals. Ultimately, your daily interactions with the people you work with can help you navigate some of the more intricate nuances of business relationships in positive ways. The trend today in today’s international markets, including New Zealand, is to find ways to work more productively and cost-effectively. On top of these benefits are, of course, the networking and collaborative ones that are a natural part of business. Ultimately, your co-working space, in many ways, is the cocoon that incubates your growing business, nurturing and protecting it from the common problems that hinder start-ups. Previous Post Free Bitcoin Exchange, What To Expect?